When I googled a map of Western Australia I was amazed by the sheer size of the state. It’s literally one third of the whole country! My as of 3 weeks wife, Lisa, and I had a limited amount of time to explore this massive state so to make the most of the time we had we travelled by air. 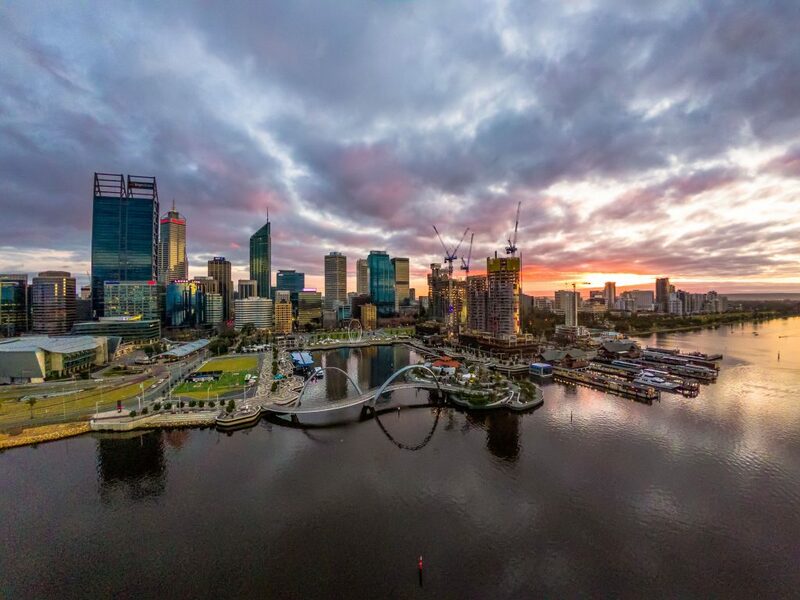 We flew Qantas the whole way, allowing us to visit two contrasting regions; the booming city of Perth and its surrounds, and the very remote Ningaloo Reef on Australia’s Coral Coast. 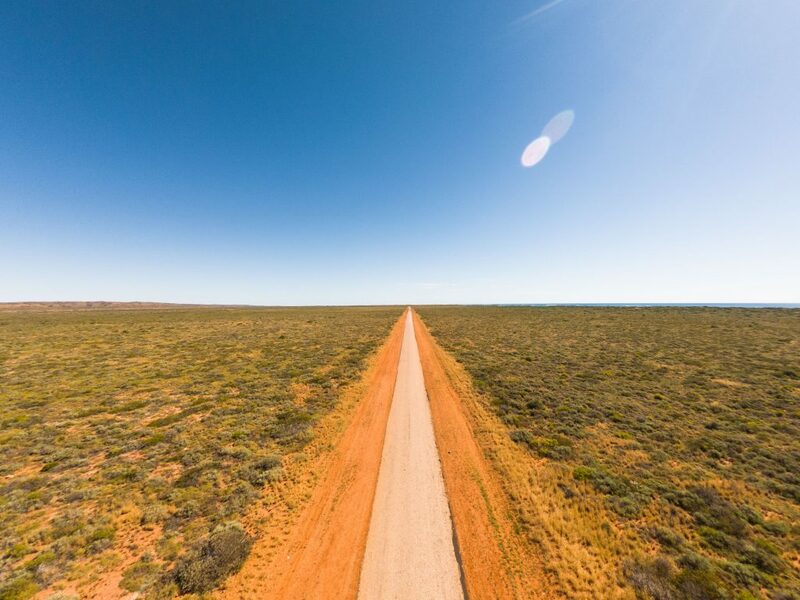 Qantas is the only airline flying between Perth and Learmonth, and unless you’re up for a 12-hour drive, I highly recommend flying as Learmonth airport is only 36 km from Exmouth. The whole trip was packed with highlights, so here’s a taste for you. Come night time, Elizabeth Quay is beautifully illuminated by a succession of different colours that fade into each other. Crossing the contemporary pedestrian and cyclist bridge led us to The Island , a great spot to sample local craft beer while watching the city transform from day to night. 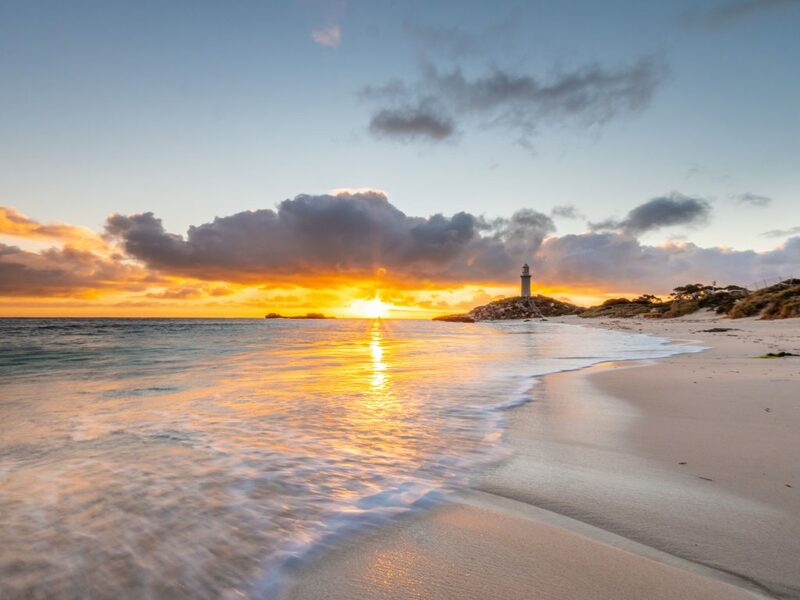 Located just 19 km off the coast of Freemantle is Rottnest Island. 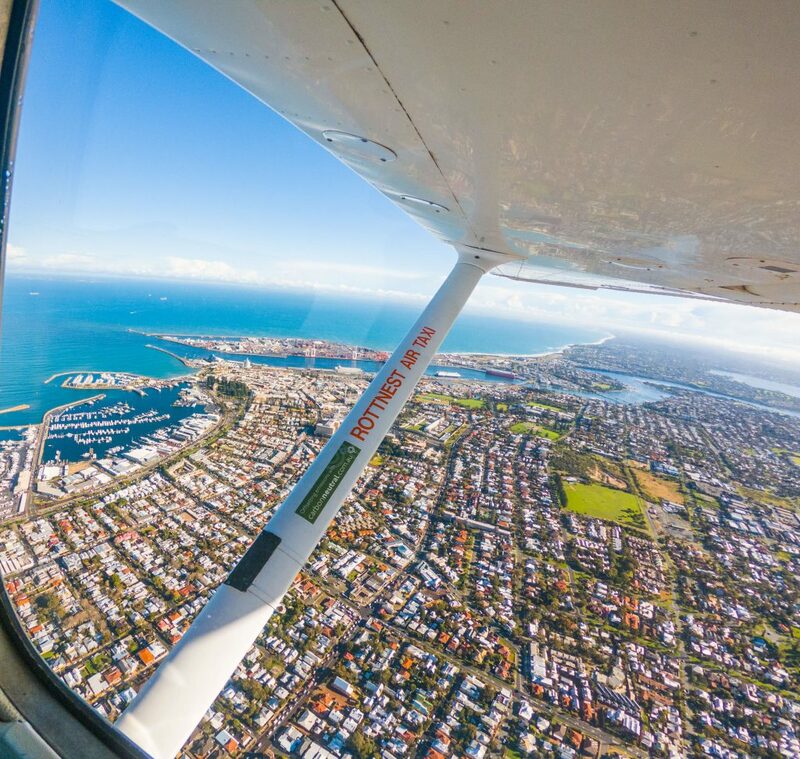 There are two ways to travel to this amazing island; by sea with Rottnest Express or by air with Rottnest Air Taxis. The island is renowned for its picturesque scenery, boasting 63 bays, 20 beaches, and an abundance of marine life inhabiting the surrounding coral reef. However, on the day of our visit, Mother Nature had other plans as a spring storm buffeted the island bringing heavy rain and strong wind. There was a break in the weather the following morning before we departed and this is when I got to experience the famous beauty of Rottnest Island. Although the storm cancelled all water-based activities that day it didn’t deter the adorable and curious Quokkas from posing for a cheeky selfie. 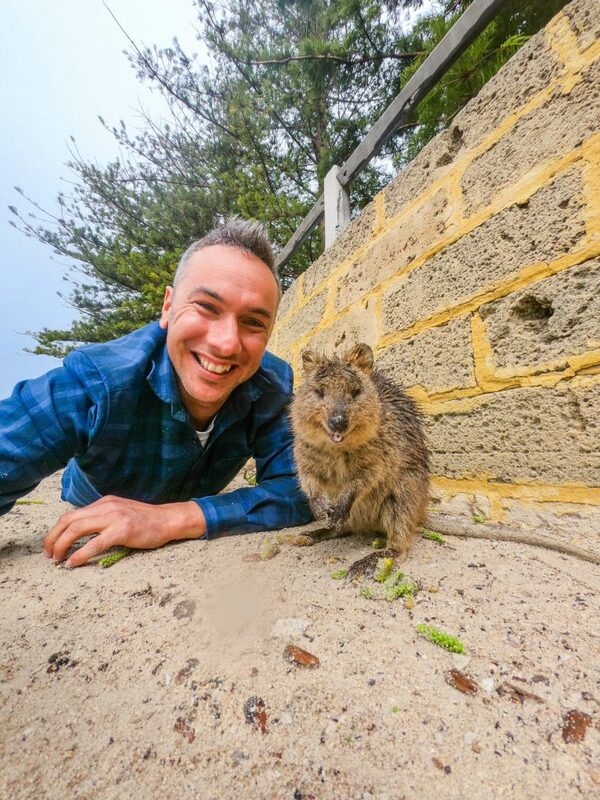 The Quokkas are incredibly tame, which must frustrate the locals sometimes. They would walk into the hotel looking for food, and Lisa and I got surrounded as we took shelter from the rain — turns out they were also seeking refuge! We heard the Quokkas enjoy causing traffic jams, sitting in the middle of roads refusing to move an inch, even when approached by a vehicle. You’re not allowed to touch the Quokkas so trying to get them off the road is no easy feat. 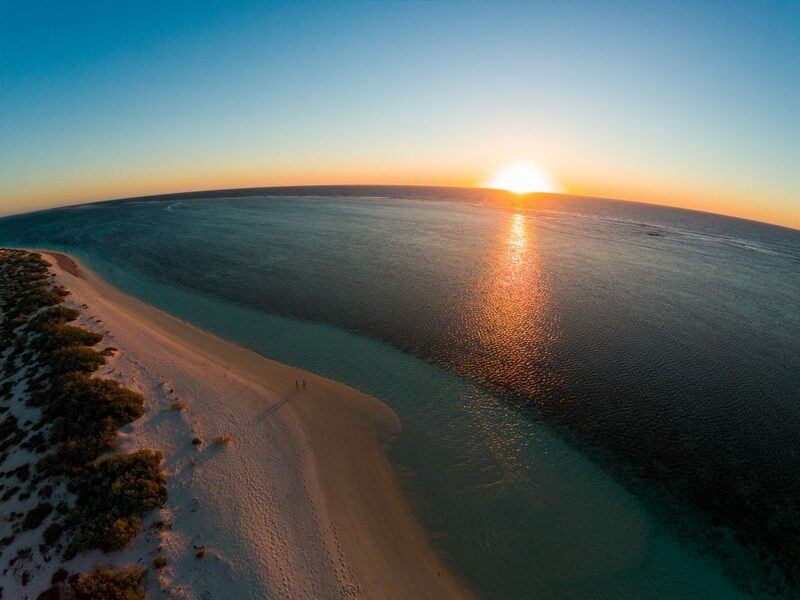 There is no arguing that Sal Salis Ningaloo Reef is a destination in its own right. 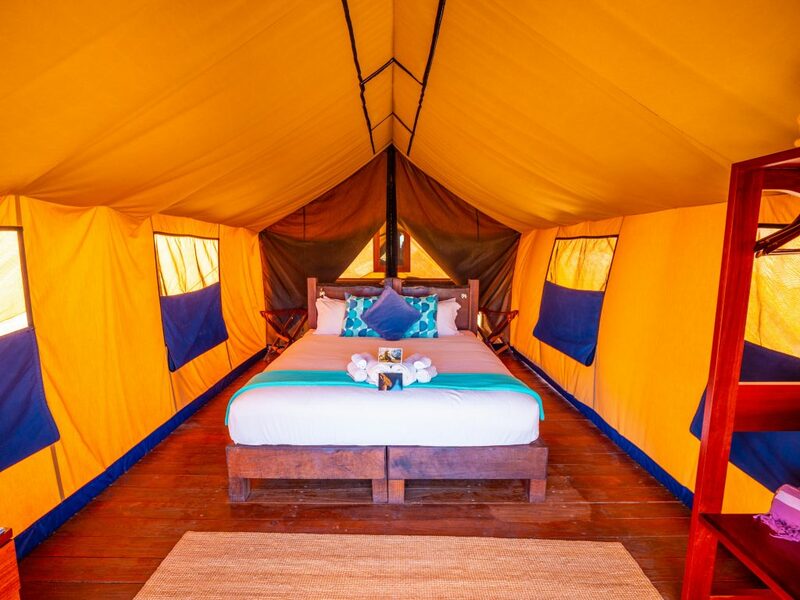 Sal Salis is a (luxury) beach-side safari camp nestled in the dunes of the Cape Range National Park. Hands down, it’s quite possibly the coolest place we’ve ever stayed! Sal Salis is off the grid, no cellphone coverage or wifi, compostable toilets and all of the electricity is generated by solar power. All meals (prepared by an onsite chef) are included in the overall cost to stay. The food was beautiful! Canapes and a three course dinner every night. There is also an open bar with ample alcoholic and non-alcoholic beverages on offer. 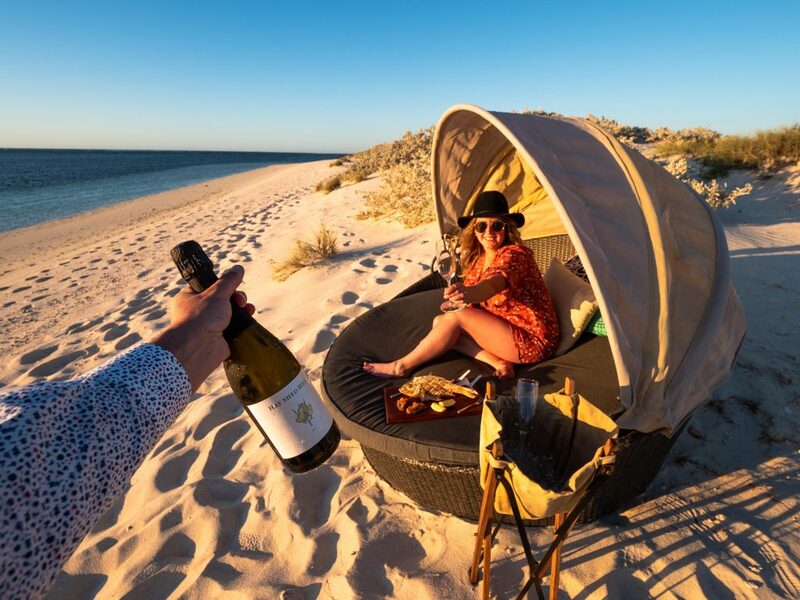 One night Sal Salis even surprised us with our own private canapes, which they set up on the cosy outdoor furniture located on their exclusive beach inside the Ningaloo Reef. Something we particularly loved about Sal Salis is it has a real sense of community. Meals are shared with the other guests at a communal dining table in the lodge. 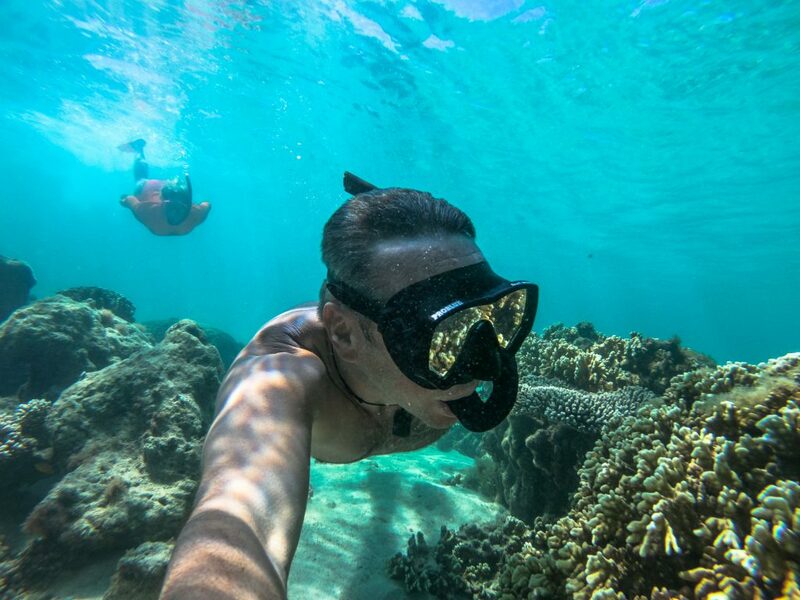 There’s snorkelling equipment, stand up paddle boards and kayaks available to use, with Sal Salis offering guided excursions with a nature guide every morning and afternoon. 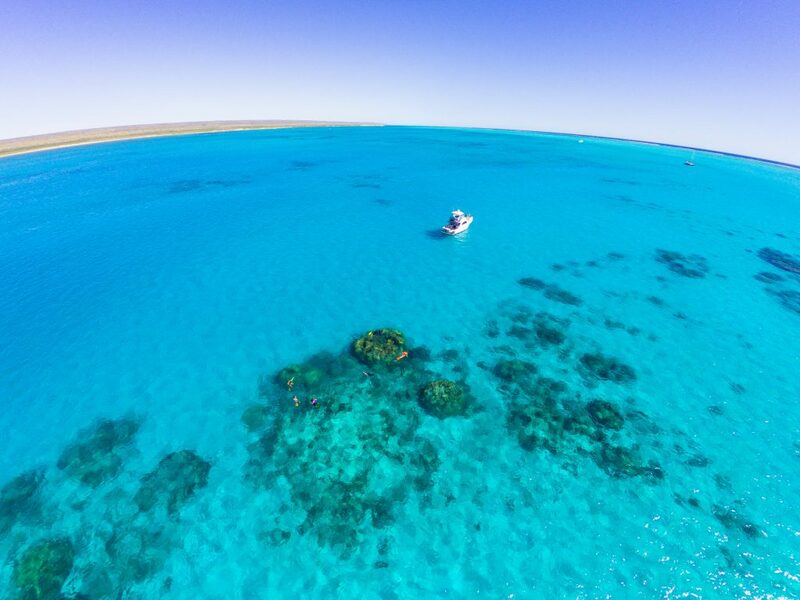 Ningaloo Reef is a World Heritage listed site. As one of the longest fringing coral reefs in the world it stretches over 300 kilometres of unspoiled underwater paradise. The reef’s key selling point is that it’s the most easily accessible coral reef in Australia. 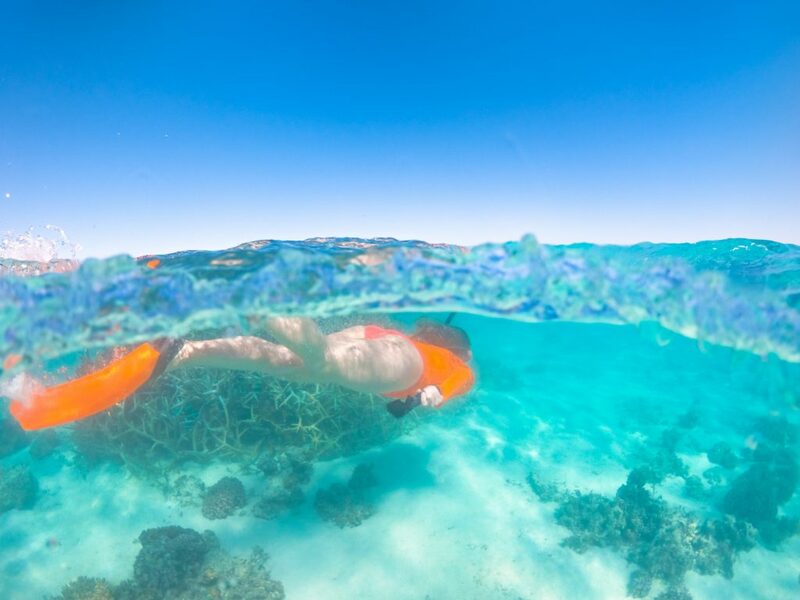 Unlike most coral reefs, which are located well offshore, the Ningaloo Reef runs within very close proximity to the shoreline. The coral gardens are constantly brimming with brightly coloured tropical fish located mere footsteps from the beach. I think this image is the epitome of paradise. I caught my first glimpse of Yardie Creek by air, from our Qantas flight. 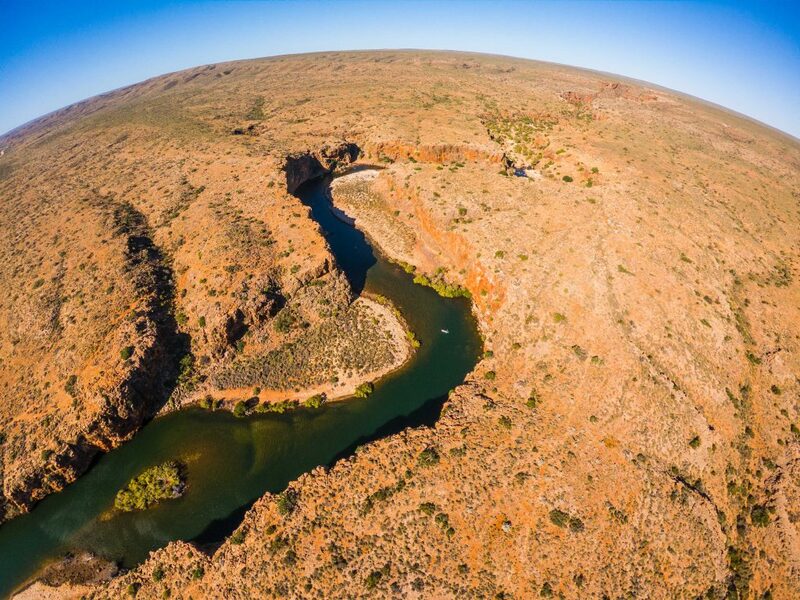 Yardie Creek really is WA’s version of the Grand Canyon. The rugged gorge is a vibrant red colour and, like the rest of Cape Range National Park, the surrounding vegetation is sparse. Only low-growing shrubs can survive this climate which experiences approximately eight days of rain each year. After wandering along the track that follows Yardie Creek we hopped in a kayak and paddled up the creek. It’s the only creek in the whole National Park and after a few hundred metres it dries up and disappears under the ground. 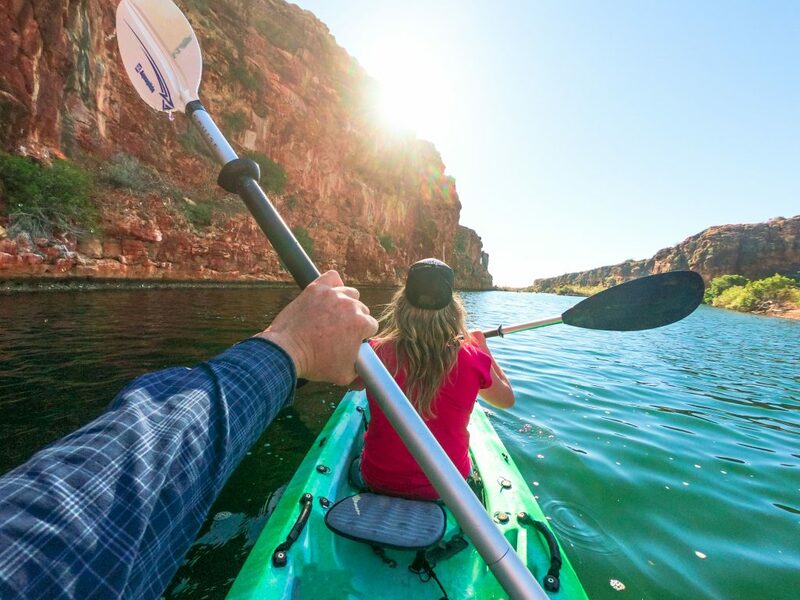 Kayaking was the perfect way to view the gorge, viewing rare black-footed rock wallabies and osprey’s along the way. Swimming with humpback whales has been on my bucket list FOREVER. So when I found out that swimming with humpback whales was on the itinerary for our trip to WA words can’t even begin to describe my reaction. 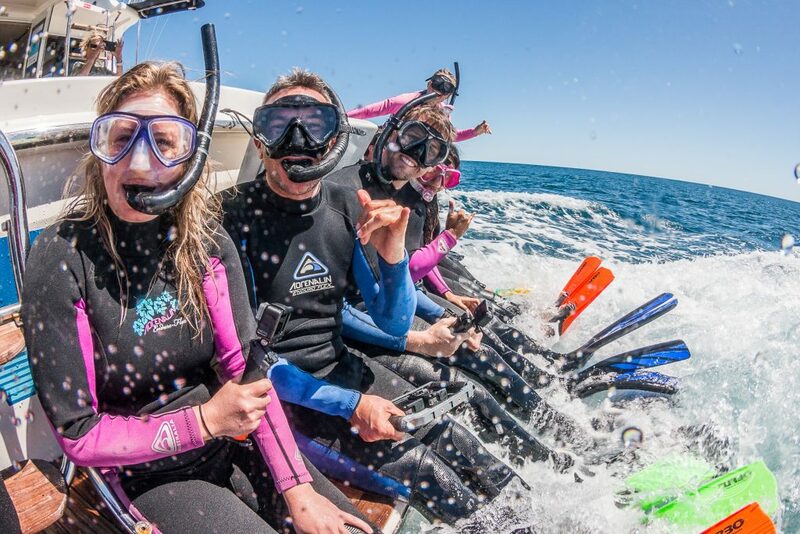 We spent a whole day with Live Ningaloo , who offer small bespoke group tours with a maximum of 10 guests on their humpback whale swimming adventures. While Live Ningaloo work closely with a spotter plane pilot interacting with a wild animal means there is no guarantee that you will encounter a humpback whale on your tour. We were lucky enough to see multiple whales. However, when it came to swimming with them, that proved a lot trickier. The whales we encountered were in deep water, which allowed them to swim deep beneath us, and after numerous attempts (perhaps eight?) we had to accept that the whales were not curious today, they were pretty focused on their mammoth migration from Antarctica to Broome – and fair enough! 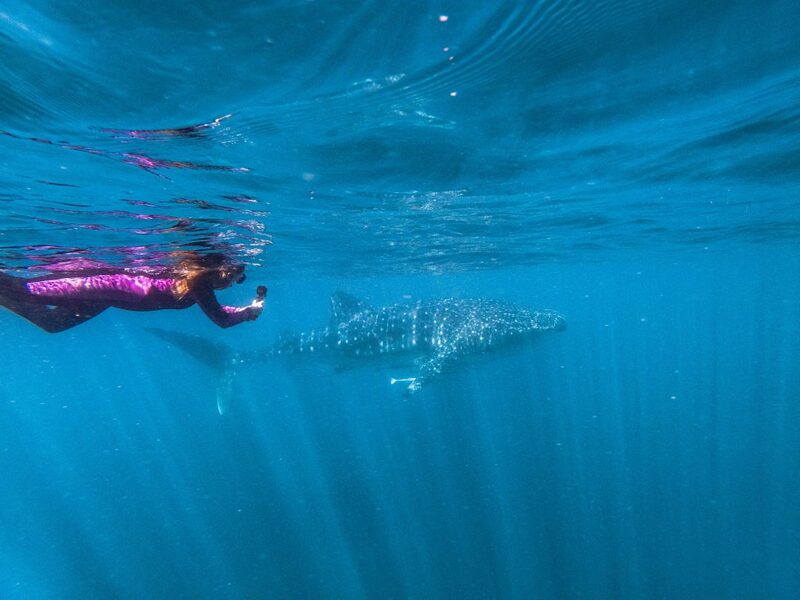 That aside, I did encounter a whale shark that was more than obliging to swim with us. It was literally cruising along at a remarkably slow pace, which I guess is why it was still in the area despite the whale shark season finishing a month earlier! 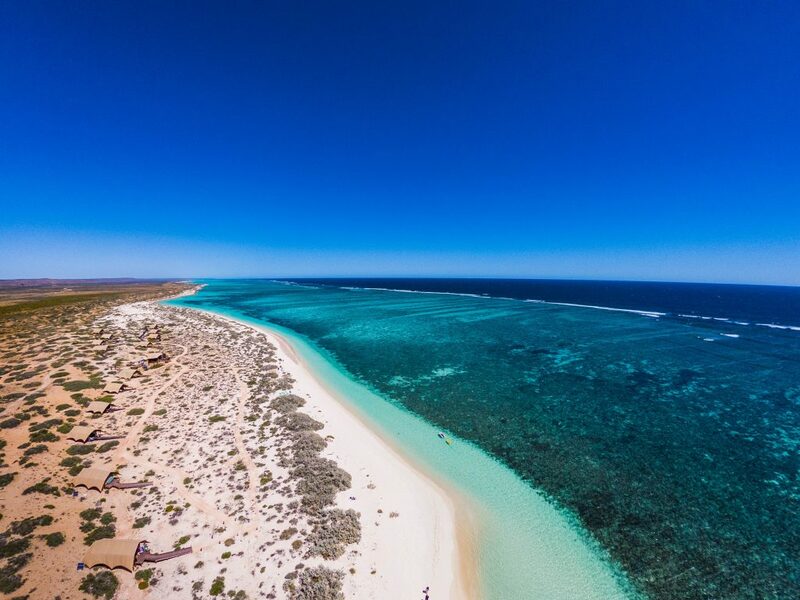 We want to applaud Live Ningaloo for their commitment to preserving the Ningaloo Reef and focus on ensuring environmental sustainability. The chance to swim with humpback whales is an opportunity that has only been offered to selected operators in Western Australia, who were granted licences on a preliminary trial in 2016. Parks and Wildlife are still in the process of deciding if the trial will be extended but if it is we encourage you to support these guys. Oh, and we got to see dolphins and experience world-class reef snorkelling! A perfect sunset over the Indian Ocean is almost a guaranteed daily occurrence. The sun inches its way down towards the water then drops below the horizon line, which glows a brilliant orange long after the sun has disappears. I witnessed three of these sunsets, during two of which I was luckily enough to witness humpback whales breaching! Morning is also a magical time as the consistently sunny weather paired with cooler overnight winter temperatures ensures the sky is a perfect blue/purple hue in the morning. It’s fair to say our time in WA was greatly enhanced by the people we met. For this reason I tip my hat to the Qantas team for the incredible service and getting us to a truly beautiful part of the planet. Also, a massive shout out to the friendly staff and incredible food at The Standard , Perth. Jason, from Perth Luxury Tours , for being an incredible chauffeur and tour guide around Perth. Park Ranger, Brendon McLaughin, on Rottnest Island was an absolute good sort, showing me the great sights of the island despite challenging weather conditions. And lastly, the hospitality of the staff at Sal Salis Ningaloo Reef- it was unlike anything we’ve ever encountered before. 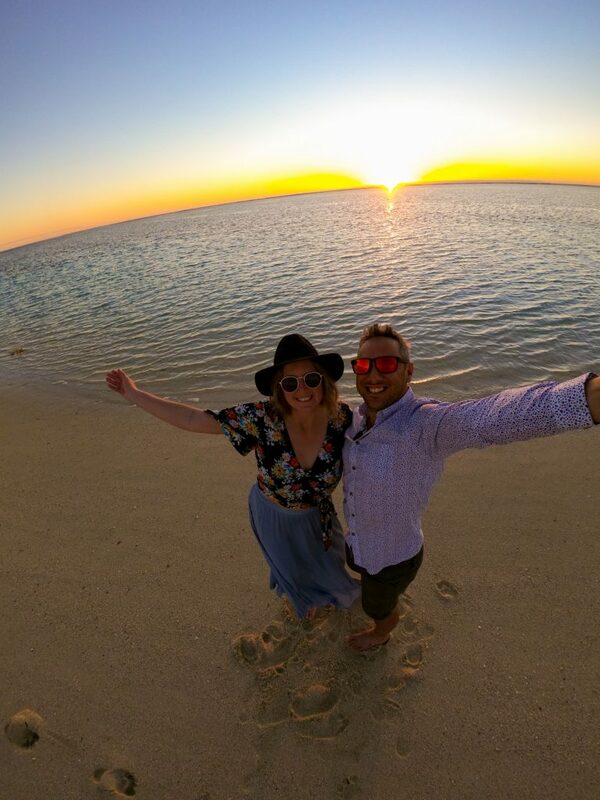 So from Lisa and I – THANKS QANTAS AND WESTERN AUSTRALIA!